Windows PowerShell Uses a Verb-Noun pair for the names of cmdlets and for their derived Microsoft .Net FrameWork Classes. 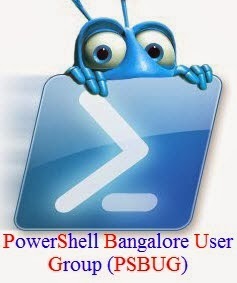 For example, The Get-Command cmdlet provided by Windows PowerShell is used to retrieve all the cmdlets that are registered in Windows PowerShell.The Verb part of the name identifies the action that the cmdlets performs.The noun part of the name identifies the entity on which the action is preferred. PowerShell cmdlets always consist of a Verb,Which represents an action and a noun which acts on it. This naming conventions helps us to find the right cmdlets so easy. Think about What action you need to do on the console ,Say 'Get'. then what you need ,Say 'Command'. Here , You performed a Get on Command which gives you all the cmdlets available in you Computer. To Get Approved Verbs in PowerShell, We have a cmdlet. This cmdlet Gives you all the approved verbs in PowerShell.